According to one belief in astrology, Ketu gets exalted in the sign of Scorpio and according to another belief in astrology, Ketu gets exalted in Sagittarius. For the sake of the present topic, we will consider the sign of exaltation of Ketu as Scorpio. Ketu is exalted in a horoscope when it is placed in the sign of Scorpio, which in simple words means that Ketu gains maximum strength when placed in Scorpio compared to its placement in all the other signs. Exalted Ketu is associated with many good things by many astrologers and it is believed by a number of astrologers that exalted Ketu always works positively in a horoscope and it brings good results for the native under its influence. This is not the case in actual practice and exalted Ketu can work positively as well as negatively in a horoscope depending on the other deciding factors and depending on the overall tone of the horoscope of a native under consideration. The word exalted simply relates to the strength of Ketu in a horoscope and it doesn’t relate to the nature of Ketu in a horoscope. Accordingly exalted Ketu placed in different houses of a horoscope can give benefic as well as malefic results depending on the nature of Ketu as well as depending on the overall tone of the horoscope. We will now discuss some of these benefic as well as malefic effects which can be experienced when exalted Ketu is placed in different houses of a horoscope. Exalted Ketu in 1st House : When benefic in nature, exalted Ketu placed in the first house of a horoscope can bless the native with good results related to profession, finance, fame, reputation, health and many other types of good results. Accordingly the natives under the effect of this benefic influence may come across some of these good results depending on the overall tone of their horoscopes. Such benefic exalted Ketu can especially prove good for the professional sphere of the native under its influence and it can bless the native with success through a wide variety of professional spheres. The presence of such benefic influence in the first house of a horoscope can bend the native towards the faiths like astrology, numerology, tantra, black magic and many other such faiths belonging to the category of supernatural or paranormal. Accordingly the natives blessed by such benefic influence may take interest in some of these faiths and they may read more and more material related to these faiths. Some of these natives may engage in some of these special fields on professional basis if their overall horoscopes are supportive and they may achieve success through them. For example, if benefic exalted Ketu is placed in the first house of a horoscope in the sign of Scorpio, Rahu is in the seventh house in the sign of Taurus and a benefic combination of Sun and Mercury is placed in the eleventh house of this horoscope in the sign of Virgo, the native may bend toward a faith like astrology. The native under the combined effect of these benefic planets may engage in the study and research of various topics related to astrology and he may spend many years of his life towards such study and research. At the same time, if benefic Mars is placed in the fourth house of this horoscope in the sign of Aquarius and benefic Venus is also placed in the first house of this horoscope in the sign of Scorpio along with benefic exalted Ketu, the equation may become much more positive. The native blessed by all these benefic planets may engage in the field of astrology on professional basis after devoting many years to this field and he may earn good amount of success, money and recognition as an astrologer. The combined effect of these benefic planets can bend the native more towards a branch of astrology which deals with some tantric type of remedies in order to improve the overall luck of a native, instead of engaging in a branch of astrology like Vedic astrology which deals with remedies like donations, charities and Poojas in order to improve the overall luck factor of a native. It means that though such native may become an astrologer, he may bend more towards the tantric branch of astrology instead of bending towards the divine or spiritual line of astrology. Such native may prescribe remedies like burying certain specific things in deserted places instead of asking his clients to make regular donation to institutions like orphanages or Leprosy institutes. However the combined effect of such benefic exalted Ketu in the first house and all other benefic planets in the already mentioned houses of this horoscope can bless the native with good financial incomes and recognition through this field of profession. At the same time, if benefic Saturn is placed in the eighth house of this horoscope in the sign of Gemini along with benefic Jupiter, the equation may become much more productive. The native blessed by such benefic exalted Ketu and all other benefic planets may earn very good amount of money, fame and recognition through the field of astrology and he may also develop more taste towards a faith like tantra. It means that such native may directly engage in the field of tantra also, along with practicing as an astrologer and he may prescribe some tantric Poojas and other tantric remedies to his clients, in order for them to see better results related to some spheres of their lives. As more benefic influences add to this horoscope, the native under the effect of such benefic exalted Ketu and all other benefic planets may achieve even better results through this field of profession. Some other natives under the effect of benefic exalted Ketu in the first house may directly engage in a line of profession like tantra and they may achieve success though it. For example, if benefic exalted Ketu is placed in the first house of a horoscope in the sign of Scorpio along with benefic Saturn and benefic Mercury when Rahu is placed in the seventh house of this horoscope in the sign of Taurus, the native may become a tantric. Such native may become a worshipper of aggressive and violent forms of some gods and goddess and he may engage in special practices like Poojas and mantras for these gods and goddesses in order to get certain things done for himself as well as for his clients, by means of their blessings. The combined effect of such benefic exalted Ketu and all other benefic planets mentioned in this example may bless this native with good amount of success through this field of profession and he may also achieve good personal growth as a tantric. At the same time, if benefic Sun is placed in the second house of this horoscope in the sign of Sagittarius and a benefic combination of Mars and Jupiter is placed in the eighth house of this horoscope in the sign of Gemini, the equation may become much more productive. The native blessed by such benefic exalted Ketu and all other benefic planets mentioned in this example may earn very good amount of money and recognition as a tantric and he may also come across very good amount of fame through the field of tantra. As more benefic influences add to this horoscope, the native blessed by all such benefic influences may achieve even better results through the field of tantra. For example, the presence of benefic Moon in the fourth house of this horoscope in the sign of Aquarius can bless the native with even better results through this field of profession. The native under the effect of such benefic exalted Ketu and all other benefic planets may write some books on various topics of tantra and he may earn very good amount of fame and money through such books. On the other hand, malefic exalted Ketu placed in the first house of a horoscope can trouble the native under is influence with problems related to his marriage, profession, finances, health, lifeline and many other types of problems. Accordingly the natives under the effect of this malefic influence may suffer from some of these problems depending on the overall tone of their horoscopes. Such problems may intensify if malefic exalted Ketu placed in the first house of a horoscope forms Sarpa Dosha in that horoscope along with malefic exalted Rahu in the seventh house of that horoscope. The defect so formed is called Takshak Sarpa Dosha and it can trouble the native with serious problems related to his marriage, profession and health. Some natives under the effect of this malefic influence may not get married on time and they may have to wait till late in their lives in order to get married. Some other natives under the malefic influence of such Sarpa Dosha may have to face many problems after their marriages and they may also have to face broken marriages after going through very bad experiences in such marriages. In an extreme case when supported by some other marriage breaking defect like Kuja Dosha, the presence of such Sarpa Dosha in a horoscope can make the native suffer from more than one broken marriage, after troubling him a lot through such marriages. Malefic exalted Ketu in the first house of a horoscope can also cause problems in the sphere of profession of a native due to which some natives under its effect may have to suffer from many types of problems in their professions, depending on the overall tone of their horoscopes. Some of these natives may not be able to find jobs suitable according to their education or according to some other abilities that they may possess and these natives may have to work for low paying or low standard jobs. The natives under the effect of such malefic exalted Ketu may especially find it difficult to make the right type of decisions related to their professions at right times and they may have to suffer later on. For example, a native under the effect of such malefic influence may reject a confirmed job opportunity just because he hopes to get a better job very soon. This native may not get any better job and by the time he realizes this, the job opportunity rejected by him may also not be available any longer. Apart from this, malefic exalted Ketu in the first house of a horoscope can also trouble the native with health problems and diseases which may be serious or very serious in some cases, depending on the overall horoscopes of the natives under consideration. In extreme cases when supported by some other malefic defect like Pitru Dosha, malefic exalted Ketu in the first house of a horoscope can afflict the native with a very serious or even with a life threatening disease. When working positively, exalted Ketu placed in the second house of a horoscope can bless the native with good results related to marriage, profession, finances, health and many other types of good results. Accordingly the natives under the effect of this benefic influence may come across some of these good results depending on the overall tone of their horoscopes. Such benefic exalted Ketu can especially prove good for the professional aspect of the native and it can bless the native with success in a number of professional spheres depending on his overall horoscope. Such benefic influence in the second house of a horoscope can also render a post of power and authority to some natives under its influence due to which such natives may achieve such power and authority through jobs or through politics. For example, if benefic exalted Ketu is placed in the second house of a horoscope in the sign of Scorpio, Rahu is in the eighth house in the sign of Taurus along with benefic Mars; and a benefic combination of Sun and debilitated Mercury is placed in the sixth house of this horoscope in the sign of Pisces, the native may become a revenue or taxation officer. The native under the combined effect of these benefic planets may get selected for a post of authority in revenue or taxation department of government and he may achieve good amount of success and recognition through this field of profession. At the same time, if benefic Saturn is placed in the fourth house of this horoscope in the sign of Capricorn and benefic exalted Venus is placed in the sixth house of this horoscope in the sign of Pisces along with benefic Sun and benefic debilitated Mercury, the equation may become much more positive. The native blessed by such benefic exalted Ketu, exalted Venus and all other benefic planets may get selected for the highest possible direct rank in revenue services by means of success in some competitive exams for selection in revenue services and he may achieve very good amount of success and recognition through this field of profession. This is due to the fact that benefic exalted Venus placed in the sixth house of this horoscope may cancel the debilitation status of benefic Mercury placed in the sixth house of this horoscope in the sign of Pisces and Neechbhang Rajyoga may be formed in the horoscope. 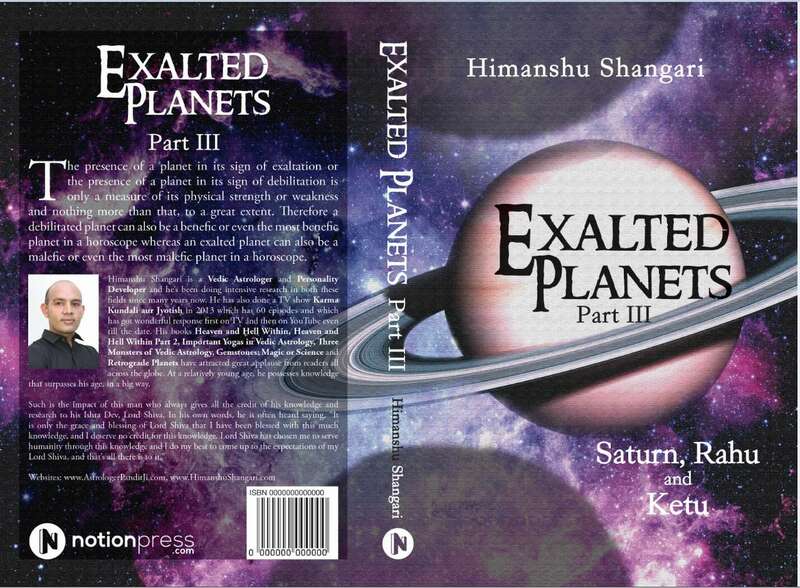 According to its definition, if a benefic debilitated planet is joined by a benefic planet which is either the lord of its sign of debilitation or which gets exalted in its sign of debilitation, the debilitation status of this planet may get cancelled and Neechbhang Rajyoga may be formed in the horoscope, which may bless the native with very good results in some spheres of his life. In the present case, benefic debilitated Mercury is present in the sixth house of this horoscope in the sign of Pisces along with benefic Venus which gets exalted in the sign of Pisces. Hence such benefic exalted Venus may cancel the debilitation status of Mercury and these two planets may form Neechbhang Rajyoga in the horoscope of this native. Since the overall tone of this horoscope is indicating some type of authority in the house of government through some job related to revenue or taxation, such Neechbhang Rajyoga may bless the native with very good results in this field of profession. Hence the native under the effect of such benefic exalted Ketu, exalted Venus, debilitated Mercury and all other benefic planets mentioned in this example may get selected for the highest possible direct rank in revenue services and he may achieve very good amount of success and recognition through this field of profession. As more benefic influences add to this horoscope, the native blessed by such benefic exalted Ketu and all other benefic influences may achieve even better results through this field of profession. For example, the presence of benefic exalted Jupiter in the tenth house of this horoscope in the sign of Cancer can bless the native with some very important and authoritative deputations during his career. Similarly the presence of benefic Moon in the fifth house of this horoscope in the sign of Aquarius can bless the native with even better success and recognition as a revenue officer. Benefic exalted Ketu placed in the second house of a horoscope can also take some natives to foreign lands and it can get them settled there permanently if the overall horoscopes of these natives are supportive. For example, if benefic exalted Ketu is placed in the second house of a horoscope in the sign of Scorpio, Rahu is in the eighth house in the sign of Taurus and a benefic combination of Moon and Saturn is placed in the twelfth house of this horoscope in the sign of Virgo, the native may go abroad. Such native may go abroad on the basis of his profession, he may earn good amount of success and money in such foreign country and he may get settled in such foreign country permanently on the basis of his profession, if his overall horoscope is supportive. For example, if benefic Jupiter is placed in the second house of this horoscope in the sign of Scorpio along with benefic exalted Ketu when all other benefic planets are placed in the already mentioned houses of this horoscope, the native may settle in a foreign country on the basis of his profession. However if a combination of Jupiter and Mars is placed in the sixth house of this horoscope in the sign of Pisces instead of the placement of Jupiter in the second house along with benefic exalted Ketu, the results may change. The native under the combined effect of all these benefic planets may go to a foreign country on the basis of his profession, he may work there for some years and he may then come back and settle in his own country. Continuing with the first combination, the presence of benefic Jupiter with benefic exalted Ketu in the second house of this horoscope can bless the native with permanent settlement in a foreign country on the basis of his profession. The combined effect of all these benefic planets can also bless the native with very good amount of success and a very good financial status in such foreign country. As more benefic influences add to this horoscope, the native may achieve even better results related to his foreign settlement. For example, the presence of a benefic combination of Venus and Mars in the ninth house of this horoscope in the sign of Gemini can bless the native with even more benefits through his foreign settlement. The native under the combined effect of such benefic exalted Ketu and all other benefic planets mentioned in this example may get married to a well established as well as a beautiful girl from the same foreign country and he may benefit through such marriage also. On the other hand, malefic exalted Ketu placed in the second house of a horoscope can trouble the native under its influence with problems related to marriage, profession, finances, health and many other types of problems. Accordingly the natives under the effect of this malefic influence may have to face some of these problems depending on the overall tone of their horoscopes. Such problems may intensify if such malefic exalted Ketu in the second house forms Pitru Dosha in a horoscope along with malefic exalted Rahu in the eighth house of that horoscope. The defect so formed is called Karkotak Sarpa Dosha and it can trouble the native with problems related to marriage, profession and health. Some natives under the effect of this defect may not get married till late in their lives and their marriages may get delayed on account of one reason or the other. Some other natives suffering from such Sarpa Dosha may have to face many problems and disturbances in their marriages and some of them may also have to face broken marriages. In an extreme case when supported by a marriage breaking defect like Kuja Dosha, such Sarpa Dosha can break more than one marriage of the native under its influence after making him suffer from many problems through such marriages. Malefic exalted Ketu in the second house of a horoscope can also trouble the native with problems in the field of his profession due to which some natives under its impact may not be able to find permanent professions or jobs till late in their lives. Some other natives of this type may not find well paying jobs and they may have to work for low paying jobs till late in their lives or throughout their lives. In an extreme case when supported by some other malefic influences in a horoscope, malefic exalted Ketu in the second house can make the native engage in very low paying jobs throughout his life or it may keep him jobless for many year of his life. Apart from this, malefic exalted Ketu in the second house of a horoscope can also trouble the native with health problems and diseases of various types due to which some natives under its impact may have to suffer from various types of diseases and health problems. Such malefic influence can also bend the native towards consuming some unhealthy foods or towards using alcohol or some other harmful substances in heavy quantities due to which these natives may invite many health problems. The natives suffering from such malefic exalted Ketu may have a tendency to suffer from health problems and diseases after their age of 41 primarily due to their bad eating routines or due to their indulgence in excessive consumption of alcohol, tobacco or some other such harmful substances. In extreme cases when supported by other malefic influences in a horoscope, malefic exalted Ketu in the second house of a horoscope can afflict the native with some serious or even with some life threatening disease which may cause some serious damage to the native or which may claim his life between his age of 41 to 50. According to Vedic astrology, Mars is exalted in a horoscope when it is placed in the sign of Capricorn, which in simple words means that Mars gains maximum strength when placed in Capricorn compared to its placement in all the other signs. Exalted Mars is associated with many good things by many astrologers and it is believed by a number of astrologers that exalted Mars always works positively in a horoscope and it brings good results for the native under its influence. This is not the case in actual practice and exalted Mars can work positively as well as negatively in a horoscope depending on the other deciding factors and depending on the overall tone of the horoscope of a native under consideration. 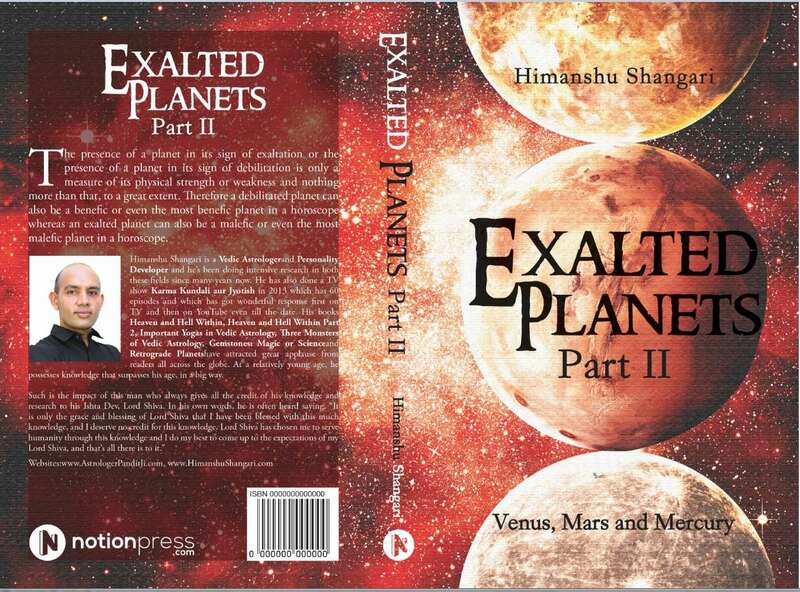 The word exalted simply relates to the strength of Mars in a horoscope and it doesn’t relate to the nature of Mars in a horoscope. Accordingly exalted Mars placed in different houses of a horoscope can give benefic as well as malefic results depending on the nature of Mars as well as depending on the overall tone of the horoscope. We will now discuss some of these benefic as well as malefic effects which can be experienced when exalted Mars is placed in different houses of a horoscope. Exalted Mars in 1st House : When benefic in nature, exalted Mars placed in the first house of a horoscope can bless the native with good results related to his marriage, profession, finances, health, fame, authority and many other types of good results. Accordingly the natives under the effect of this benefic influence may come across some of these benefits depending on the overall tone of their horoscopes. Since Mars is a planet of sheer energy and strength, the presence of exalted Mars in the first house of a horoscope can bless the native with very good amount of physical strength and stamina, among many other good things. Accordingly these natives may be better equipped to handle the jobs which require more physical energy or intense physical work, than the natives of many other types. Some natives under the effect of this benefic influence may get interested in various fields related to physical sports as well as physical trainings, as the extra energy and strength in their bodies may motivate them to engage in physically demanding activities. Some of these natives may become sportsmen, some of these natives may become professional body builders and some others may become physical fitness trainers or coaches of various types, depending on the overall tone of their horoscopes. For example, if benefic exalted Mars is placed in the first house of a horoscope in the sign of Capricorn and benefic Moon is placed in the fourth house of this horoscope in the sign of Aries, the native may get interested in some type of physical sport or in the practice of body building. At the same time, if Ketu is placed in the fifth house of this horoscope in the sign of Taurus and Rahu is placed in the eleventh house of this horoscope in the sign of Scorpio, the native may engage in one of these fields on professional basis. The presence of a benefic combination of Saturn and Mercury in the third house of this horoscope in the sign of Pisces can bend the native more towards the field of body building and he may become a gym trainer after spending many years in the study and practice of this field of profession. However, if benefic Sun is placed in the second house of this horoscope in the sign of Aquarius, the equation may become much better. Accordingly the native under the combined effect of all these benefic planets may become the owner of a gym and he may himself also train many people in that gym. The combined effect of these benefic planets can bless this native with good amount of success through this field of profession. If benefic Venus is placed in the second house of this horoscope in the sign of Aquarius, the native under the combined effect of all these benefic planets may achieve much more success through his field of profession. As more benefic planets add to this horoscope, the native blessed by such benefic exalted Mars and all other benefic planets may witness even better results through this field of profession. Benefic exalted Mars in the first house of a horoscope can also bless the native under its influence with a post of power and authority in government through some job or politics. For example, if benefic exalted Mars is placed in the first house of a horoscope in the sign of Capricorn and a benefic combination of exalted Sun and Mercury is placed in the fourth house of this horoscope in the sign of Aries, the native may join police force. However the combined effect of these planets may not bless the native with a post of high authority in police force and more benefic influences may be required. In the same horoscope, if benefic Saturn is placed in the sixth house along with Ketu; and Rahu is placed in the twelfth house in the sign of Sagittarius, the equation may improve a lot. Accordingly the native may get blessed with a post of high authority in police department and he may witness a good career in this field of profession. At the same time, if benefic exalted Venus is placed in the third house of this horoscope in the sign of Pisces when benefic exalted Mars is placed in the first house of this horoscope and all other benefic planets are placed in the already mentioned houses of this horoscope, the equation may become much better. As a result, the native may appear in some competitive exams for joining police force and by virtue of his success in such exams, he may get selected for the highest possible direct rank in police force. 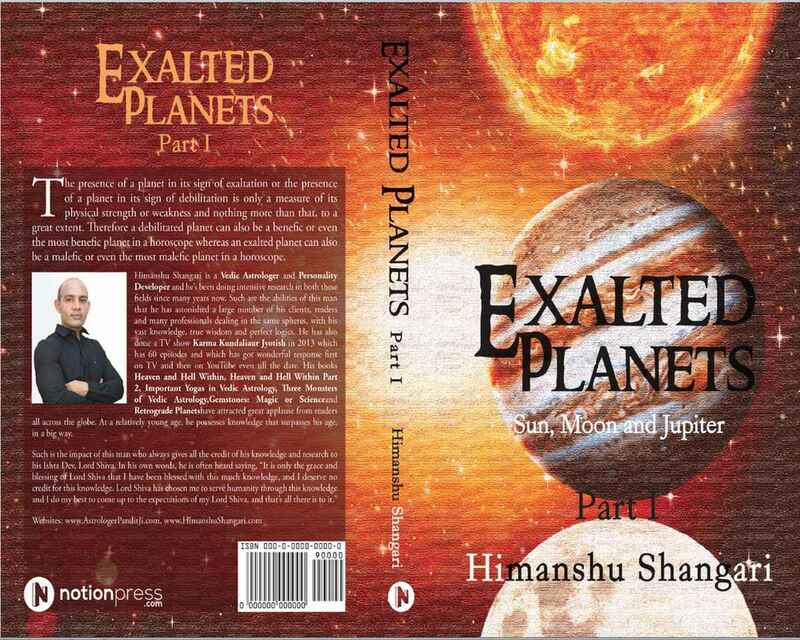 The combined effect of all these benefic planets can bless the native with a very good career in police force and he may also work at the top of his department before his retirement. The native may witness some very good achievements during his career in police force and he may also receive some formal award for his very good services to police department. The presence of benefic exalted Mars in the first house of a horoscope can also bless some natives with good results through their marriages, depending on the overall tone of their horoscopes. Such good results may especially be observed if benefic exalted Mars placed in the first house forms Manglik Yoga in the horoscope. The native under the effect of this type of Manglik Yoga may profit a lot through his marriage in many different ways depending on his overall horoscope. For example, if benefic exalted Mars forms Manglik Yoga in the first house of a horoscope and benefic Moon is placed in the tenth house of this horoscope in the sign of Libra, the native may get married to a well established as well as a well supportive person. This combination in the horoscopes of females can prove more beneficial for them as it can bless them with well established husbands who may devote very good amount of time to their wives, as well as to their marriages. On the other hand, malefic exalted Mars placed in the first house of a horoscope can trouble the native with problems related to his marriage, profession, finances, reputation and many other types of problems. Accordingly the natives under the effect of this malefic influence may come across some of these bad results depending on the overall tone of their horoscopes. Malefic exalted Mars in the first house can do much damage to the marriage of the native and the damage caused by it may increase, if it forms Kuja Dosha in a horoscope. Kuja Dosha formed by such exalted Mars may undoubtedly be very strong as Mars is placed in the sign of its exaltation and accordingly it is very strong. Hence Manglik Yoga or Kuja Dosha formed by such exalted Mars, are both likely to be very strong and accordingly, they are likely to produce significant positive or negative results. Some natives under the effect of this type of Kuja Dosha may not be able to get married till late in their lives though the real strength of such Kuja Dosha lies in breaking the marriage of the native, and not in delaying the marriage of the native under its impact. Hence it can cause a number of problems in the marriage of the native under its influence and if supported by some other malefic influences, it can easily break one or even two marriages of the native. For example, if malefic exalted Mars forms Kuja Dosha in the first house of a horoscope and malefic Ketu is placed in the fifth house of this horoscope in the sign of Taurus when Rahu is placed in the eleventh house in the sign of Scorpio, the native may have serious differences of opinion with his wife. The couple may keep arguing and fighting with each other on daily basis, right from the start of their marriage and this problem may intensify with time. At the same time, if malefic Sun is placed in the sixth house of this horoscope in the sign of Gemini and Malefic Mercury is placed in the seventh house of this horoscope in the sign of Cancer, the equation may become much more negative. Accordingly the native under the effect of such Kuja Dosha and all other malefic planets mentioned in this example may get divorced from his wife after experiencing many problems in his marriage. The combined effect of all these malefic planets may break the first marriage of this native within the very first year of the marriage. If there are no positive influences in the horoscope of this native, which support the second marriage, the native suffering from this type of Kuja Dosha may have to face more than one broken marriage. When benefic in nature, exalted Mars placed in the second house of a horoscope can bless the native under its influence with good results related to his marriage, profession, finances, overall health and many other types of good results. Accordingly the natives under the effect of this benefic influence may come across some of these good results depending on the overall tone of their horoscopes. Some natives benefitting from this positive influence may get interested in some creative or special types of fields as such benefic exalted Mars can bless these natives with creative or special type of abilities. Some of them may even engage in one such field on professional basis and they may achieve success in them, depending on the overall tone of their horoscopes. For example, if benefic exalted Mars is placed in the second house of a horoscope in the sign of Capricorn and a combination of benefic Mercury and Rahu is placed in the eleventh house of this horoscope in the sign of Libra when Ketu is placed in the fifth house of this horoscope in the sign of Aries, the native may become a singer. Such native may get blessed with good singing abilities and inspired by these abilities; he may decide to make a career in the field of singing. At the same time, if benefic Sun is placed in the tenth house of this horoscope in the sign of Virgo and benefic Saturn is placed in the fourth house of this horoscope in the sign of Pisces, the equation may improve a lot. Accordingly the native under the combined effect of all these benefic planets may earn good amount of fame, money and recognition as a singer. Moving on, if benefic Venus is placed in the eighth house of this horoscope in the sign of Cancer when benefic exalted Mars is in the second house and all other planets are in the already mentioned houses, the equation may become very good. Hence the native may now earn very good amount of profits through this field of profession and at the same time, he may become a famous singer and he may achieve fame on national level. The presence of benefic exalted Moon in the sixth house of this horoscope in the sign of Taurus can further enhance this equation. Accordingly the native may witness even better results as a singer and he may become one of the most famous and established singers of a country. Such native may earn very good amount of money through this field of profession and he may also have a large number of fans who may admire his talent of singing. As more benefic planets add to this horoscope, the native may achieve even better results through this field of profession. Benefic exalted Mars in the second house of a horoscope can also take some natives to foreign lands and it may get them settled there on professional basis as well as on the basis of their marriages, depending on the overall tone of their horoscopes. For example, if benefic exalted Mars is placed in the second house of a horoscope in the sign of Capricorn, benefic exalted Jupiter is placed in the eighth house of this horoscope in the sign of Cancer and benefic Moon is placed in the tenth house of this horoscope in the sign of Virgo, the native may go abroad on the basis of his profession. Such native may deal in some profession related to the field of finances, like he may be an investment banker, a financial analyst or some other such type of professional and he may go abroad on the basis of such profession. It means that some company based in a foreign country may need the services of this native and such company may hire this native. As a result, the native may go abroad on the basis of his job and he may earn good amount of money and recognition in such foreign country, through his job. At the same time, if benefic Venus is also placed in the second house of this horoscope in the sign of Capricorn along with benefic exalted Mars, the equation may become better and it may bring somewhat different results also. The native under the combined effect of all these benefic planets may now achieve very good amount of success through this field of profession in a foreign country. Apart from this, the native may fall in love with a girl in that foreign country and he may get married to her after a decent time period of courtship. The native in this case may settle permanently in such foreign country and he may witness very good overall results through such foreign settlement. Some natives benefitting from benefic exalted Mars in the second house of their horoscopes can profit through their marriages also, in one way or the other. Such benefits may increase if exalted Mars placed in the second house of a horoscope forms Manglik Yoga in the horoscope. As the Manglik Yoga formed in this case may be very strong due to presence of Mars in its sign of exaltation, the natives under the effect of this type of Manglik Yoga may profit a lot through their marriages. For example, if benefic exalted Mars forms Manglik Yoga in the second house of a horoscope, benefic Mercury is also placed in the second house of this horoscope and benefic Venus is placed in the eleventh house of this horoscope in the sign of Libra, the native may get married to a woman who may belong to a rich, well established and well connected family. At the same time, if benefic Jupiter is placed in the ninth house of this horoscope in the sign of Leo and benefic Sun is placed in the first house of this horoscope in the sign of Sagittarius, the results may become very good. The male native under the combined effect of this type of Manglik Yoga and all other benefic planets mentioned in this example may get married to a female celebrity. It means that the wife of this native may be a movie star, a singer, a sportsperson, a television celebrity or some other type of celebrity. Looking at this example from the angle of a female, the female native blessed by these benefic planets may either get married to a celebrity of some type or she may get married to a powerful person who may belong to a very well established political family. The combined effect of such Manglik Yoga and all other benefic planets mentioned in this example may be so strong in some cases, that it can get the native married to the son or daughter of the chief minister of a state, or even more than that. On the other hand, malefic exalted Mars placed in the second house of a horoscope can trouble the native with problems related to marriage, profession, finances, health and many other types of problems. Accordingly the natives under the effect of this malefic influence may have to face some of these problems depending on the overall tone of their horoscopes. Such malefic exalted Mars can especially prove troublesome for the marriage of the native, if it forms Kuja Dosha in the second house of a horoscope. As the Kuja Dosha formed by such malefic Mars is likely to be strong due to presence of Mars in its sign of exaltation, the natives under its effect may suffer from problems of high intensity in their marriages. Unlike the Kuja Dosha formed by exalted Mars in the first house of a horoscope, this type of Kuja Dosha can delay the marriage of the native under its influence and sometimes this delay can become very long, if there are some other malefic planets in the horoscope of a native, which indicate delay in his marriage. For example, if malefic exalted Mars is placed in the second house of a horoscope in the sign of Capricorn along with malefic Ketu, the malefic effect of such Kuja Dosha combined with the effect of malefic Ketu can delay the marriage of the native. At the same time, if malefic Venus is placed in the fifth house of this horoscope in the sign of Aries, the native may have to face a different type of problem. The native under the effect of such Kuja Dosha and other malefic influences may fall in love with a girl and such relationship may continue for more than a year or even for more than a couple of years. At a suitable time, the native may get ready to get married to this girl and he may express his wish to his lover. However, the girl in this equation may not be willing to marry this native, primarily due to the reason that she may want to give some more years to her career. A dispute may be caused between the native and his lover on account of this issue. Neither the girl may be willing to marry this native for the next few years; nor the native be willing to wait for those many years. Hence the native may have to face a break up from this girl and this native may take many years to properly recover from this breakup. The native may be so upset by this breakup that he may not even consider of marrying anyone, even many years after this breakup. Hence the marriage of this native may be delayed due to the combined effect of such Kuja Dosha and all other malefic planets mentioned in this example, unless there are some marriage promoting planets in the horoscope of this native. Apart from delaying the marriage of the native, Kuja Dosha formed by malefic exalted Mars in the second house of a horoscope can cause problems in the marriage of the native, once such marriage takes place. For example, if malefic exalted Mars forms Kuja Dosha in the second house of a horoscope, malefic Ketu is placed in the first house of this horoscope and malefic Rahu is placed in the seventh house of this horoscope in the sign of Gemini, the native may get married to a very demanding woman. The wife of this native may be so demanding that no matter what the native may do for her, she may never get satisfied and she may always make complaints. Such wife may keep telling the native how her luck has turned bad after marrying this native as he is not able to fulfill most of her wishes. The native may try his best to accommodate his wife as much as he can, but his effort may not suffice. Under the malefic effect of such Kuja Dosha, Rahu and Ketu, the wife of this native may finally seek a divorce from the native as she may not want to live a life of compromises; according to her opinion. Apart from this, malefic exalted Mars in the second house can cause many other types of problems in the marriage of the native, depending on the overall tone of his horoscope. Malefic exalted Mars in the second house can also trouble the native with serious financial problems and with problems related to his profession. According to Vedic astrology, Mercury is exalted in a horoscope when it is placed in the sign of Virgo, which in simple words means that Mercury gains maximum strength when placed in Virgo compared to its placement in all the other signs. Exalted Mercury is associated with many good things by many astrologers and it is believed by a number of astrologers that exalted Mercury always works positively in a horoscope and it brings good results for the native under its influence. This is not the case in actual practice and exalted Mercury can work positively as well as negatively in a horoscope depending on the other deciding factors and depending on the overall tone of the horoscope of a native under consideration. The word exalted simply relates to the strength of Mercury in a horoscope and it doesn’t relate to the nature of Mercury in a horoscope. Accordingly exalted Mercury placed in different houses of a horoscope can give benefic as well as malefic results depending on the nature of Mercury as well as depending on the overall tone of the horoscope. We will now discuss some of these benefic as well as malefic effects which can be experienced when exalted Mercury is placed in different houses of a horoscope. Exalted Mercury in 1st House : When benefic in nature, exalted Mercury placed in the first house of a horoscope can bless the native with good results related to marriage, profession, finances, overall health and many other good things. Accordingly the natives under the effect of this benefic influence may come across some of these good results depending on the overall tone of their horoscopes. The placement of benefic exalted Mercury in the first house of a horoscope is a very important placement and it has the potential to significantly affect or even govern the overall tone of a horoscope. This is due to the reason that when exalted Mercury is placed in the first house of a horoscope, the sign Virgo ruled by Mercury falls in the first house of that horoscope. Hence Virgo becomes the first house or ascendant of such horoscope and Mercury being the planetary lord of the sign Virgo becomes the lord of ascendant in such horoscope. As we already know, the house of ascendant is the most important house in a horoscope and the lord of ascendant is one of the most important planets in a horoscope. Accordingly the placement of any positive or negative planet in the first house of a horoscope can affect the entire horoscope positively or negatively, depending on the nature of the planet placed in this house. Similarly, any type of strength or weakness to the lord of ascendant in a horoscope can affect the entire horoscope positively or negatively. In this case, Mercury is the lord of ascendant, it is benefic, it is exalted and it is placed in the first house of a horoscope. It means that an exalted benefic planet which is the lord of ascendant is present in the first house of a horoscope. The presence of such benefic exalted lord of ascendant in the house of ascendant itself may provide much more strength to the house of ascendant as well as to the overall tone of the horoscope. It should be noted that when strong benefic lord of ascendant in any horoscope is placed in the first house of that horoscope, it reasserts the house of ascendant and it adds more strength to the entire horoscope. Hence the placement of benefic exalted Mercury in the first house of a horoscope carries great significance and therefore it should be studied carefully. Benefic exalted Mercury in the first house of a horoscope can bless the native under its influence with success in many fields of profession and accordingly these natives may achieve success through a number of professional spheres. This benefic influence can also render a post of power and authority to the native under its effect and hence some of these natives may get blessed with a post of power and authority in government. For example, if benefic exalted Mercury is placed in the first house of a horoscope in the sign of Virgo, Sun is placed in the twelfth house of this horoscope in the sign of Leo, Mars is placed in the second house of this horoscope in the sign of Libra and Saturn is placed in the third house of this horoscope in the sign of Scorpio, the native may become a revenue officer. The native under the combined effect of these benefic planets may join some revenue department or some taxation department of government and he may achieve good amount of success through this field of profession. At the same time, if benefic Jupiter is placed in the fourth house of this horoscope in the sign of Pisces, the equation may become even better. Accordingly the native under the effect of such benefic exalted Mercury and all other benefic planets mentioned in this example may directly get selected for a post of high authority in some revenue or taxation department of government and he may witness a good professional career in this field. However these results can become very good if at the same time, benefic debilitated Venus is placed in the first house of this horoscope in the sign of Virgo along with benefic exalted Mercury. Though Venus is debilitated in the sign of Virgo, the results delivered by such debilitated Venus may not be substandard in this case and it may deliver very good results to the native under its influence. This is due to the reason that the presence of benefic exalted Mercury in the same house of this horoscope may cancel the debilitation status of Venus and the two of them may form Neechbhang Rajyoga in the horoscope. According to the valid definition of Neechbhang Rajyoga, if a benefic debilitated planet is joined by a benefic planet which is either the lord of its sign of debilitation or which is exalted in its sign of debilitation, the status of debilitation of this planet may get cancelled and Neechbhang Rajyoga may by formed in the horoscope. Such benefic Yoga can bless the native with very good results related to many spheres of his life, depending on the overall tone of his horoscope. In the present case, since Mercury is the lord of sign Virgo and at the same time, it is exalted in the sign of Virgo, its presence with debilitated Venus may cancel the debilitation status of Venus and together these two benefic planets may form Neechbhang Rajyoga in the first house of this horoscope. Looking at the already defined tone of the horoscope, the native under the effect of this yoga and all other benefic planets mentioned in this example may appear in some exams for revenue services and through such exams, he may get selected for the highest possible direct rank in revenue services. The combined effect of all these benefic planets can bless this native with very good success and growth throughout his career and such benefic results may increase if there are some other benefic influences in the horoscope of this native. Apart from this, benefic exalted Mercury in the first house of a horoscope can bless the native with success in many other types of professional spheres. Accordingly the natives under its effect may become professionals like, taxation officers, bankers, financial analysts, charted accountants or any other type of professionals dealing in financial lines; players engaging in various sports, singers, actors, businessmen engaging in many types of businesses, doctors, lawyers, judges, police officers, administrative officers, astrologers, numerologists, engineers, architects, interior designers and many other types of professionals. The type of profession chosen by a native under the effect of such benefic exalted Mercury and the amount of success achieved by the native depends on the overall tone of his horoscope. On the other hand, malefic exalted Mercury placed in the first house of a horoscope can trouble the native with problems related to his marriage, profession, finances, health and many other types of problems. Accordingly the natives under the effect of this malefic influence may have to face some of these problems depending on the overall tone of their horoscopes. Such malefic influence can trouble the native a lot, when it comes to his professional sphere and hence some natives under its effect may have to come across many types of problems in their professions, depending on their horoscopes. Some of these natives may not get suitable professions till late in their lives and they may have to work for some jobs which they may not like or for some jobs which may not pay them according to their academic education or according to some other ability that they may possess. Some other natives under the effect of malefic exalted Mercury in the first house of their horoscopes may have to face financial losses and setbacks through their fields of professions and such losses may increase, if there are some other malefic planets in their horoscopes. For example, if malefic exalted Mercury is placed in the first house of a horoscope in the sign of Virgo along with malefic Sun; and malefic Mars is placed in the sixth house of this horoscope in the sign of Aquarius, the native under the effect of these malefic planets may not be able to find a suitable profession till late in his life. At the same time, if malefic Moon also joins malefic Mars in the sixth house of this horoscope, the equation may become worse. Accordingly the native may not even find some permanent profession till his age of 33 and he may only be able to find some jobs on and off. It means that such native my engage in some job for some months and he may then have to sit idle for many months. The presence of malefic Rahu in the fifth house of this horoscope in the sign of Capricorn can add more negativity to this equation. Hence the native under the effect of such malefic exalted Mercury and all other malefic planets may have to remain jobless most of the time, till his age of 35 years. As more malefic planets add to this horoscope, the native may have to suffer even more on the front of his profession. According to Vedic astrology, the Moon is exalted in a horoscope when it is placed in the sign of Taurus, which in simple words means that Moon gains maximum strength when placed in Taurus compared to its placement in all the other signs. Exalted Moon is associated with many good things by many astrologers and it is believed by a number of astrologers that exalted Moon always works positively in a horoscope and it brings good results for the native under its influence, which is not the case in actual practice. Exalted Moon can work positively as well as negatively in a horoscope depending on the other deciding factors and depending on the overall tone of the horoscope of a native under consideration. The word exalted simply relates to the strength of the Moon in a horoscope and it doesn’t relate to the nature of the Moon in a horoscope. Accordingly exalted Moon placed in different houses of a horoscope can give benefic as well as malefic results depending on the nature of the Moon as well as depending on the overall tone of the horoscope. We will now discuss some of these benefic as well as malefic effects which can be experienced when exalted Moon is placed in different houses of a horoscope. Exalted Moon in 1st House : When working positively, exalted Moon placed in the first house of a horoscope can bless the native with good results related to his profession, marriage, health, finances and many other spheres of his life. Accordingly the natives benefitting from this positive influence may witness good results related to some of these spheres depending on the overall tone of their horoscopes. Such benefic influence can render some creative abilities or some special abilities to the native under its influence and accordingly these natives may achieve success through the fields of profession where such abilities are valued. This benefic placement in the horoscope of female natives in particular can prove more beneficial than the same placement in the horoscope of male natives as it can bless the female natives with beauty, style, elegance and many other qualities which may help them ride the ladder of success in many spheres of their lives, depending on the overall tone of their horoscopes. For example, the presence of benefic exalted Moon in the first house of a horoscope in the sign of Taurus can bless the female native under its influence with a beautiful face as well as with a beautiful body and such beauty may increase if at the same time, benefic Venus is also placed in the first house of this horoscope in the sign of Taurus along with such benefic exalted Moon. Accordingly, the female native under the combined effect of these two benefic planets may become very beautiful and she may also have a special style added to many of the things she does as well as in the way she presents and carries herself. Such female native may receive much praise for her beauty right from her early age and she may witness many types of practical benefits by virtue of this beauty depending on the overall tone of her horoscope. For instance, if benefic Rahu is placed in the second house of this horoscope in the sign of Gemini and benefic Ketu is placed in the eighth house of this horoscope in the sign of Sagittarius, the female native under the combined effect of all these benefic planets may become very well aware of her beauty and she may decide to make use of it. Such female native may enter into some beauty contests at a proper age and she may witness much praise in those contests by virtue of her beauty and style. If benefic Mercury is present in the tenth house of this horoscope in the sign of Aquarius and benefic Sun is placed in the eleventh house of this horoscope in the sign of Pisces, such female native may not only enter into such beauty contests, but she may also win some of them, particularly the ones which choose a winner up to the city or state level. If benefic Jupiter is also present in the second house of this horoscope in the sign of Gemini along with benefic Rahu when a benefic combination of exalted Moon and Venus is placed in the first house of this horoscope, benefic Mercury is in the tenth house, benefic Sun is in the eleventh house and Ketu is in the eighth house of this horoscope, the equation may improve and the benefits may increase in quantum. The female native under the combined effect of all these benefic planets may not only win many beauty contests up to the state level, but she may also secure one of the first two positions in a national beauty contest. It means that if such female native contests in a beauty pageant in India, she may be declared Miss India Universe or Miss India World, which means that she may become the winner or the first runner up of such Miss India contest. The presence of benefic Mars in the first house of this horoscope in the sign of Taurus along with benefic exalted Moon and benefic Venus can enhance this equation and the results may change further, as a benefic Chandra Mangal Yoga may be formed in the first house of the horoscope of such female native. The female native under the combined effect of all these benefic planets may not only get blessed with exotic looks and charming style, but she may also be very good at the art of using her looks and styles according to the demand of the situation. Hence such female native under the benefic influence of all these benefic planets may not only win a national beauty contest but she may also secure a position among the top three contestants in Miss Universe or in Miss World contest. Such female native may also try her luck in movie industry after winning such beauty contests and she may achieve good amount of success through this field also. Some natives under the effect of this benefic influence may achieve success through many other types of professional fields depending on the overall tone of their horoscopes, as this benefic influence can bless the native with success through many types of professions. For example, if benefic exalted Moon is present in the first house of a horoscope in the sign of Taurus and benefic Mercury is placed in the third house of this horoscope in the sign of Cancer, the native under the combined effect of these two benefic planets may start a business which may deal with the selling of beauty products for females, with the items of luxuries, with the items used for beautifying the houses or with some other such type of product which enhances the beauty of a person or a place in some way. If a benefic combination of Venus and Rahu is placed in the fourth house of this horoscope in the sign of Leo when benefic exalted Moon is placed in the first house and benefic Mercury is placed in the third house of this horoscope, the native may sell items which beautify houses, party venues, places of entertainment and other such places. On the other hand, if the same benefic combination of Venus and Rahu is placed in the third house of this horoscope in the sign of Cancer along with benefic Mercury, the native may sell the products which directly deal with enhancing the beauty of people. Such native may become the owner of a big showroom or a chain of showrooms which may deal in various products related to beauty and luxury. The combined effect of all these benefic planets can also bless the native with special creative abilities related to the enhancement of beauty and accordingly he may become a designer who may design beautiful clothes, handbags, perfumes and many other such items which enhance and promote the beauty of people. As more benefic planets add to this horoscope, the native under the combined effect of all these benefic planets may achieve even more success. On the other hand, malefic exalted Moon in the first house of a horoscope can trouble the native with problems related to his profession, marriage, health and many other types of problems. Accordingly the natives under the effect of this malefic influence may have to suffer from some of these problems depending on their overall horoscopes. Such malefic influence can especially prove very bad for the marriage aspect of the native under its influence and accordingly it can cause problems in the marriage of the native, though it doesn’t usually delay the marriage of the native. For example, the presence of malefic exalted Moon in the first house of a horoscope in the sign of Taurus can create disturbances in the marriage of the native and such native may have to suffer from issues related to lack of trust in his marriage. At the same time, if malefic Jupiter is also placed in the first house of this horoscope in the sign of Taurus along with malefic exalted Moon, the native under the combined effect of these two malefic planets may have to face even more problems related to his marriage. Such native may have to face serious disturbances in his marriage and he may not be able to maintain a good equation with his wife, as the two of them may keep arguing and fighting with each other on account of one reason or the other. It should be noted that the native under the combined effect of these two malefic planets is more likely to initiate the disputes in his marriage, in most cases. It means that he may find more excuses to argue and fight with his wife than those found by his wife. If there are some other malefic influences in the horoscope of this native, he may have to face one or more than one broken marriage, under the malefic influence of such planets. Malefic exalted Moon in the first house of a horoscope can also trouble the native with problems related to his profession and health. For example, the presence of the same malefic combination of Moon and Jupiter in the first house of a horoscope in the sign of Taurus may trouble the native on account of professional problems due to which, such native may not be able establish professionally, till late in his life. At the same time, if a malefic combination of Venus and Ketu is placed in the eighth house of this horoscope in the sign of Sagittarius when malefic Rahu is placed in the second house of this horoscope in the sign of Gemini, the equation may become much more negative. Accordingly the native under the combined effect of these malefic planets may have to change his job many times in his life and he may also have to remain jobless many times in his life. As more malefic influences add to this horoscope, the native may have to suffer even more, like the presence of malefic Sun in the sixth house or the presence of malefic Saturn in the eighth house of this horoscope can intensify the problems of this native. When benefic in nature, exalted Moon placed in the second house of a horoscope can bless the native under its influence with good results related to his marriage, education, profession, finances, overall status and many other spheres of his life. Accordingly the natives benefitting from this benefic influence may witness good results related to some of these spheres depending on the overall tone of their horoscopes. Such benefic influence may especially prove very good for the education aspect of the native and it can even bless the native under its influence with a post of power and authority in some government department by virtue of success in higher studies as well as success in some competitive exams for the same purpose. For example, the presence of benefic exalted Moon in the second house of a horoscope in the sign of Taurus can bless the native with good understanding power, good memory and other good abilities due to which, the native may understand and remember many topics related to his studies with ease and hence he may perform well at his studies right from his early age. At the same time, if benefic Sun is placed in the fourth house of this horoscope in the sign of Cancer and benefic Mercury is placed in the third house of this horoscope in the sign of Gemini, the equation may improve. Accordingly the native under the combined effect of all these benefic planets may achieve much better results related to his education. Such native may perform very well in studies and he may keep pursuing his studies up to very high levels or even up to the highest level depending on the rest of his horoscope. Looking at some possibilities here, if benefic exalted Moon is placed in the second house of a horoscope in the sign of Taurus, benefic Sun is placed in the fourth house of this horoscope in the sign of Cancer along with benefic Mercury and benefic Mars is placed in the sixth house of this horoscope in the sign of Virgo, the native under the combined effect of these benefic planets may choose his course of higher studies to be in the field of medical science. Such native may complete his formal education related to a branch of medicals and he may become a professional doctor after that. The native under the combined effect of all these benefic planets is also likely to achieve good amount of success as a doctor and his success may become even better, if there are more benefic influences present in his horoscope. For instance, the presence of benefic Saturn in the eighth house of this horoscope in the sign of Scorpio or the presence of benefic Rahu in the sixth house of this horoscope in the sign of Virgo along with benefic Mars can enhance the good results received by the native through this field of profession. Taking a look at another combination, if benefic exalted Moon is placed in the second house of a horoscope in the sign of Taurus, a benefic combination of Sun and Mercury is placed in the fifth house of this horoscope in the sign of Leo and benefic Mars is present in the first house of this horoscope in the sign of Aries, the native under the combined effect of these benefic planets may join police force, army or some other department related to defense. At the same time, if benefic Rahu is placed in the tenth house of this horoscope in the sign of Capricorn along with benefic Saturn, the native under the combined effect of all these benefic planets may get directly get selected for a high rank in police or in army, through some competitive exams. The combined influence of all these benefic planets can also bless the native with very good amount of success through this field of profession and such success may improve further, if more benefic influences add to the horoscope of this native. Considering one more example, if benefic exalted Moon is present in the second house of a horoscope in the sign of Taurus, a combination of Mars and Venus is present in the twelfth house of this horoscope in the sign of Pisces and a combination of Jupiter and Rahu is placed in the first house of this horoscope in the sign of Aries, the native under the combined effect of all these benefic planets may pursue his higher studies in the field of aviation and he may become a professional in one of the branches dealing with this field. Such native may become a pilot, an air force officer, an aviation engineer or some other type of professional related to the field of aviation and he may achieve very good amount of success due to the combined effect of these benefic influences in his horoscope. For instance, if a benefic combination of Sun and Mercury is placed in the tenth house of this horoscope in the sign of Capricorn, the native under the combined effect of all such benefic planets may become an air force pilot. On the other hand, if the same benefic combination of Sun and Mercury is placed in the eleventh house of this horoscope in the sign of Aquarius, the native under the combined effect of all these benefic planets may become an aviation engineer with some private aviation company. However, if benefic Saturn is placed in the tenth house of this horoscope in the sign of Capricorn when benefic exalted Moon is placed in the second house of this horoscope and all other benefic planets are placed in the already mentioned houses of this horoscope, the native may instead become an aviation engineer in air force and he may earn very good amount of success through this field of profession. Similarly, the introduction of other combinations of planets in this horoscope may change the results and the native may work under some different profile related to aviation industry. Benefic exalted Moon in the second house of a horoscope can also bless the native with good results through many other types of professional spheres. Hence the native under the effect of this benefic influence may benefit from many other professional spheres like real estate, business of food products, restaurants, hotels, beauty products, fashion industry, movie industry, singing, acting and many other professional spheres. For example, if benefic exalted Moon is present in the second house of a horoscope in the sign of Taurus along with benefic Saturn, the native may engage in the field of real estate and he may achieve good amount of success in it. At the same time, if a benefic combination of Venus and Rahu is placed in the fourth house of this horoscope in the sign of Cancer, the native under the combined effect of all these benefic planets may achieve much better results through this field of profession. As more benefic planets add to the horoscope of this native, he may achieve even more success through the field of real estate. Taking a look at another possibility, if a combination of benefic exalted Moon and Mercury is placed in the second house of a horoscope in the sign of Taurus and a benefic combination of Venus and Mars is placed in the third house of this horoscope in the sign of Gemini, the native under the combined effect of these benefic planets may become a singer and he may achieve good amount of success through this field of profession. Moving on, if a combination of benefic exalted Moon and Rahu is placed in the second house of a horoscope and benefic Mars is placed in the eleventh house of this horoscope along with benefic Mercury in the sign of Aquarius, the native under the combined effect of these benefic planets may start a business of food products or he may start a food joint and he may achieve success through this business. Such success may increase if more benefic planets add to the horoscope of this native. Similarly, benefic exalted Moon in the second house of a horoscope can bless the native with success through many other fields of profession, depending on the overall tone of his horoscope. On the other hand, malefic exalted Moon placed in the second house of a horoscope can trouble the native with problems related to his marriage, health, overall financial equation and many other spheres of his life. Accordingly the natives suffering from this malefic influence may have to suffer from some of these problems depending on the overall tone of their horoscopes. For example, if malefic exalted Moon is placed in the second house of a horoscope along with malefic Rahu, the native under the combined effect of these two malefic planets may have to face problems related to his marriage as well as problems related to his health. However if a malefic combination of Moon and Saturn is placed in the second house of a horoscope in the sign of Taurus, the native may have to face problems related to his health as well as problems related to his profession. As more malefic planets add to these horoscopes, the natives under the combined effect of all these malefic planets may have to suffer even more. According to one belief in astrology, Rahu gets exalted in the sign of Taurus and according to another belief in astrology, Rahu gets exalted in Gemini. For the sake of the present topic, we will consider the sign of exaltation of Rahu as Taurus. Rahu is exalted in a horoscope when it is placed in the sign of Taurus, which in simple words means that Rahu gains maximum strength when placed in Taurus compared to its placement in all the other signs. Exalted Rahu is associated with many good things by many astrologers and it is believed by a number of astrologers that exalted Rahu always works positively in a horoscope and it brings good results for the native under its influence. This is not the case in actual practice and exalted Rahu can work positively as well as negatively in a horoscope depending on the other deciding factors and depending on the overall tone of the horoscope of a native under consideration. The word exalted simply relates to the strength of Rahu in a horoscope and it doesn’t relate to the nature of Rahu in a horoscope. Accordingly exalted Rahu placed in different houses of a horoscope can give benefic as well as malefic results depending on the nature of Rahu as well as depending on the overall tone of the horoscope. We will now discuss some of these benefic as well as malefic effects which can be experienced when exalted Rahu is placed in different houses of a horoscope. Exalted Rahu in 1st House : When benefic in nature, exalted Rahu placed in the first house of a horoscope can bless the native with good results related to marriage, profession, finances, health, authority and many other types of good results. Accordingly the natives under the effect of this benefic influence may come across some of these good results depending on the overall tone of their horoscopes. Benefic exalted Rahu in the first house can especially prove good for the professional sphere of the native and it can bless the native with success in a number of professions depending on the overall tone of his horoscope. Such benefic influence in the first house of a horoscope can render some creative abilities to some natives under its impact due to which such natives may engage in creative fields of profession and they may achieve success through such creative fields. For example, if benefic exalted Rahu is placed in the first house of a horoscope in the sign of Taurus, exalted Ketu is placed in the seventh house and a benefic combination of Mercury and Venus is placed in the second house of this horoscope in the sign of Gemini, the native may become a singer. The native under the combined effect of these benefic planets may get blessed with a good voice and he may try his luck in the field of singing. However the effect of these benefic planets alone may not be sufficient to bless the native with much success in the line of singing and more benefic influences may be required. If benefic Sun is placed in the third house of this horoscope in the sign of Cancer and benefic Mars is placed in the eleventh house of this horoscope in the sign of Pisces, the equation may become much more positive. Accordingly the native blessed by such benefic exalted Rahu and all other benefic planets mentioned in this example may become a professional singer and he may earn good amount of money and fame through this line of profession. The presence of benefic Saturn in the fifth house of this horoscope in the sign of Virgo and the presence of benefic exalted Moon in the first house of this horoscope in the sign of Taurus along with benefic exalted Rahu can make this equation much more productive. The native blessed by all these benefic planets may earn very good amount of fame, money and recognition as a singer and he may become one of the most famous singers of a country. Such native may especially gain popularity and fame through his stage performances or live performances as he may have a very vibrant style of performing. As more benefic influences add to this horoscope, the native under the combined effect of all such benefic influences may achieve even more success through this field of profession. Taking a look at one more such example, if benefic exalted Rahu is placed in the first house of a horoscope in the sign of Taurus, Ketu is in the seventh house and exalted Venus is placed in the eleventh house of this horoscope in the sign of Pisces along with benefic Moon, the native may become an actor. The native under the combined effect of all these benefic planets may get the gift of acting and he may receive much appreciation or even some formal awards for his acting during school or college years. The native may engage in the field of acting on professional basis at a right age and he may achieve good amount of success and fame through the field of acting. Such native may become a movie actor or a television actor and he may either work in lead roles or he may play some very important roles in movies or in television programs, depending on the rest of his horoscope. At the same time, if benefic debilitated Mercury is present in the eleventh house of this horoscope in the sign of Pisces along with benefic exalted Venus and Moon; and benefic exalted Sun is placed in the twelfth house of this horoscope in the sign of Aries when benefic exalted Rahu is in the first house of this horoscope, the results may become very good. The native blessed by all these benefic as well as some very strong planets placed in their signs of exaltation may achieve very good results through the field of acting. Such good results may enhance in particular if benefic debilitated Mercury placed in the eleventh house of this horoscope forms Neechbhang Rajyoga in the horoscope, along with benefic exalted Venus. According to its definition, if a benefic debilitated planet is present with a benefic planet which is either the lord of its sign of debilitation or which gets exalted in its sign of debilitation, the debilitation status of this planet may get cancelled and Neechbhang Rajyoga may be formed in the horoscope, which can bless the native with very good results, in some spheres of his life. In the present case, benefic debilitated Mercury is placed in the eleventh house of this horoscope along with benefic exalted Venus. Hence the debilitation status of Mercury may get cancelled and Neechbhang Rajyoga may be formed by these two planets, which can bless the native with very good results through the field of acting. Accordingly the native blessed by such benefic exalted Rahu, benefic exalted Sun, Neechbhang Rajyoga and other benefic planets may become a lead movie actor and he may become one of the most famous movie stars of a movie industry. Such native may earn very good amount of money, fame and success through movie industry and he may become an iconic celebrity. As more benefic planets add to this horoscope, the native may achieve even better results. For example, the presence of benefic Mars in the first house of this horoscope in the sign of Taurus along with benefic exalted Rahu can bless the native with fame on international level, through the field of acting. Similarly the presence of benefic exalted Jupiter in the third house of this horoscope in the sign of Cancer can bless the native with even more acting talent and he may come across more recognition for his acting works. On the other hand, the presence of malefic exalted Rahu in the first house of a horoscope can trouble the native with problems related to marriage, profession, finances, overall health, reputation and many other types of problems. Accordingly the natives under the effect of this malefic influence may have to suffer from some of these problems depending on the overall tone of their horoscopes. Such malefic exalted Rahu can especially prove bad for the profession of the native and it can cause many problems in his profession. Some natives under the effect of this malefic influence may have to change many jobs in their lives and they may not find stable jobs or professions till late in their lives. The malefic effect of exalted Rahu in the first house of a horoscope can make the native feel dissatisfied with his professional results in most of the jobs that he engages in, and hence he may quit such jobs in search of something better. However he may not find that better job till late in his life and till that time, he may keep running from job to job. Malefic exalted Rahu in the first house of a horoscope can also trouble the native with problems related to his health and such problems may intensify if it forms Sarpa Dosha in the horoscope along with malefic Ketu in the seventh house. Such defect formed by these two malefic planets is called Anant Sarpa Dosha and it may trouble the native with problems related to his health as well as with problems related to his marriage, apart from causing problems in his profession. Some natives suffering from such malefic defect may get addicted to some harmful drugs and some of them may have to face serious consequences due to regular use of harmful drugs in heavy quantities. Such Sarpa Dosha can also render criminal tendencies to the native due to which, some natives suffering from it may engage in various types of crimes and they may have to face severe punishments. Such malefic influence can also cause delay or disturbances in the marriage of the native under its influence due to which some natives suffering from this type of Sarpa Dosha may have to face these types of problems also. In extreme cases when Sarpa Dosha formed by such malefic exalted Rahu and malefic exalted Ketu is supported by some other malefic planets, the native may either not be able to get married till very late in his life or he may have to face more than one broken marriage, depending on the overall tone of his horoscope. When working positively, exalted Rahu placed in the second house of a horoscope can bless the native with good results related to marriage, profession, finances, wealth, health and many other types of good results. Accordingly the natives under the effect of this benefic influence may come across some of these good results depending on the overall tone of their horoscopes. Benefic exalted Rahu in the third house can bless the native with success in many lines of profession due to which the natives under its impact may succeed in a number of professional fields depending on the overall tone of their horoscopes. Some of these natives may get blessed with creative abilities and they may engage in creative type of professions, if their overall horoscopes are supportive. For example, if benefic exalted Rahu is placed in the second house of a horoscope in the sign of Taurus and a benefic combination of Venus and Saturn is placed in the third house of this horoscope in the sign of Gemini, the native may become a writer. The native under the combined effect of all these benefic planets may be gifted with the art of writing, he may become a professional writer and he may write under various profiles depending on the overall tone of his horoscope. At the same time, if a benefic combination of exalted Sun and Mercury is placed in the first house of this horoscope in the sign of Aries when benefic exalted Rahu and other benefic planets are placed in the already mentioned houses of this horoscope, the equation may become much more positive. The native in this case may become a well established writer and he may earn good amount of money, fame and recognition through his writings. The combined effect of these benefic planets can bend the native more towards writing books or novels based on the genres of romance and drama. The presence of benefic Jupiter in the third house of this horoscope in the sign of Gemini along with benefic exalted Saturn and benefic Venus can supply even more positive energy to the equation. Accordingly the native blessed by all these benefic planets may achieve very good amount of success, fame and recognition as a writer. The native may now achieve fame on international level and he may also earn very good amount of profits through his writings. The combined effect such benefic exalted Rahu, exalted Sun and all other benefic planets can now bend the native towards the writings which may belong to the genres of drama or romance and which at the same time may deal with international type of themes. It means that such native may write stories or books which involve people belonging to many countries or which involve the main characters going to many countries and their experiences in those countries. As more benefic planets add to this horoscope, the native may achieve even better results through this field of profession. For example, the presence of benefic Moon in the eleventh house of this horoscope in the sign of Aquarius or the presence of benefic Mars in twelfth house of this horoscope in the sign of Pisces can bless the native with even better results through the field of writing. Some other natives under the effect of such benefic exalted Rahu may get the gift of cooking and they may achieve good results through this gift. For example, if benefic exalted Rahu is placed in the second house of a horoscope in the sign of Taurus along with benefic Saturn; and a benefic combination of Venus and Mercury is placed in the first house of this horoscope in the sign of Aries, the native may get blessed with very good cooking skills. Such native may engage in the field of cooking from his early age and he may explore more and more things in this field with the passage of time. At a point in time, he may engage in this field and he may earn good amount of money and recognition through this field of profession. Such native may get a well paying job in a well established hotel and he may do well as a chef in such hotel. At the same time, if benefic exalted Moon is placed in the second house of this horoscope in the sign of Taurus along with benefic exalted Rahu and Saturn: and benefic Mars is placed in the third house of this horoscope in the sign of Gemini, the equation may become much more positive. The native blessed by all these benefic planets may start his own restaurant or food joint and he may achieve very good amount of success through such restaurant or food joint. As more benefic planets add to this horoscope, the native under the combined effect of all such benefic planets may achieve even better results through this field of profession. For example, the presence of benefic Jupiter in fifth house of this horoscope in the sign of Leo can bless the native with even more success through this field of profession. The native blessed by such benefic exalted Rahu and all other benefic planets may witness very good growth in his business and he may own more than one restaurant or food joint. Benefic exalted Rahu in the second house of a horoscope can also bless the native with good results related to his marriage due to which some natives under its effect may profit through their marriages in many possible ways depending on the overall tone of their horoscopes. For example, if benefic exalted Rahu is placed in the second house of a horoscope in the sign of Taurus and benefic Jupiter is placed in the first house of this horoscope in the sign of Aries along with benefic Venus, the native may go abroad on the basis of his marriage. The native under the combined effect of these benefic planets may get married to a foreign citizen and he may settle in such foreign country on permanent basis by virtue of his marriage. At the same time, if benefic Saturn is placed in the ninth house of this horoscope in the sign of Sagittarius when benefic exalted Rahu and other benefic planets are in the already mentioned houses, the equation may become better. The native in this case may not only settle in a foreign country on the basis of his marriage, but he may also achieve very good professional results in such foreign country, with the help of his wife and her family. As more benefic influences add to this horoscope, the native may achieve even better results related to his marriage, foreign settlement and profession. For instance, the presence of benefic Moon in the seventh house of this horoscope in the sign of Libra can improve this equation and the native may witness even better results through his marriage. On the other hand, malefic exalted Rahu placed in the second house of a horoscope can trouble the native with problems related to marriage, profession, finances, health and many other types of problems. Accordingly the natives under the effect of this malefic influence may come across some of these problems depending on the overall tone of their horoscopes. Some natives suffering from such malefic exalted Rahu may have to suffer from problems related to their marriages and such problems may intensify if such malefic Rahu forms Sarpa Dosha in the second house of a horoscope along with malefic exalted Ketu in the eighth house of that horoscope. The defect so formed is called Kulik Sarpa Dosha and it can trouble the native a lot with problems related to his marriage, apart from causing problems in some other spheres of his life. The native suffering from such Sarpa Dosha may have to face disturbances in his marriage and he may not enjoy a good marriage. Such native may have to experience frequent arguments and disputes with his wife and he may also have to suffer from bad spending habits of his wife. The wife of this native may spend much more than their combined income due to which the native may have to witness financial tightness and financial debts, which may cause serious arguments between the two of them. If such Sarpa Dosha is joined by some other malefic planets in a horoscope, the native under the effect of all such malefic influences may have to suffer from one or more than one divorce after facing many problems in such marriages. Malefic exalted Rahu in the second house can also trouble the native with problems related to his profession and it can also make the native suffer from financial problems. Some natives under its effect may not be able to maintain a balanced financial equation and they may have to suffer from financial tightness or even from financial crisis, many times in their lives. The malefic effect of exalted Rahu in the second house can force these natives to avail finances loans from time to time and some of these natives may not be able to pay such loans on time. Hence these natives may have to face complications and even some legal actions due to the nonpayment of such financial debts. Malefic exalted Rahu in the second house of a horoscope can also trouble the native with health problems and diseases due to which some natives under its effect may have to suffer from various types of health problems and diseases, depending on the overall tone of their horoscopes. In extreme cases when such malefic influence is supported by some other malefic influences in a horoscope, the native may get afflicted with some life threatening disease and he may die at a young age by virtue of such disease.